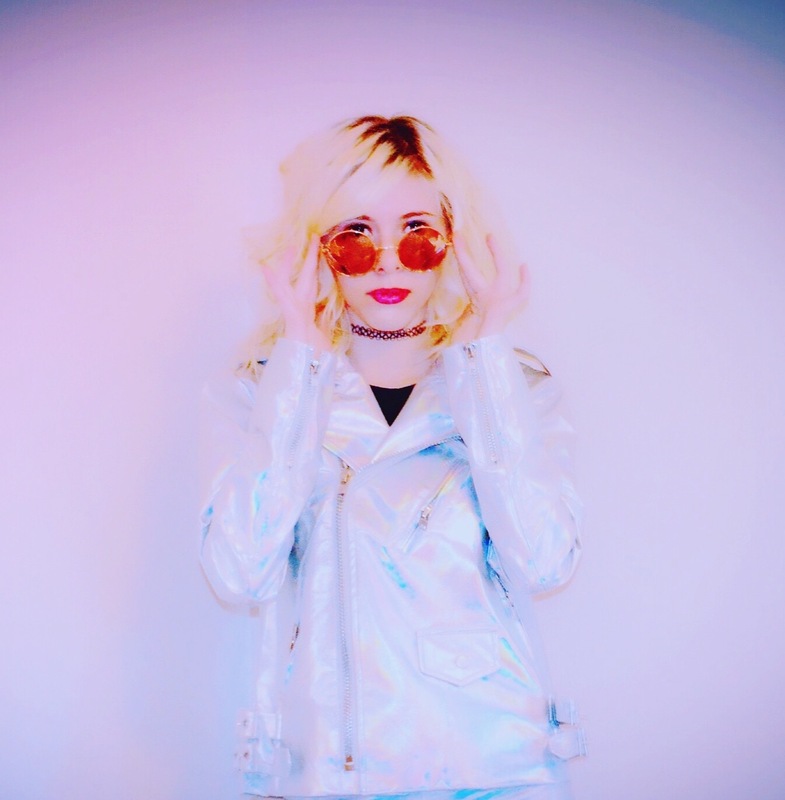 Emerging pop vocalist Galaxzi has created a new kind of pop which she has dubbed Sci-Pop. With a synthesis of catchy pop melodies, futuristic synth driven beats, sultry vocals, and an edgy guitar for an added dimension, we are pulled into the iridescent world of Galaxzi. Her work meshes themes of apprehension, melancholy, love, and longing with immersions of galactic distances, spacetime, and extraterrestrial life. The production of her songs give her work mainstream appeal; while also allowing her unique identity to stand out. Her signature holographic motorcycle jacket, round alien-like glasses, platform heels, and striking platinum blonde hair; proves that she’s from a distant future or another world. Launched in 2018, Galaxzi has already captivated audiences with her dynamic stage presence. And Sci-Pop is just getting started.